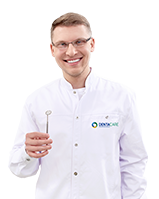 DentaCare / Advice / Baby bottle tooth decay – what is it? Baby bottle tooth decay – what is it? Baby bottle tooth decay is associated with frequent drinking from the bottle. In such cases, teeth contact with the liquid is longer than when drinking from a cup. Particularly at risk are the teeth of children who fall asleep with a bottle or during feeding at night. During sleep, there is less saliva in the mouth, which would help clean the teeth and neutralize acids produced by the bacteria present in the mouth. And these bacteria feed on sugar, which is contained in the juices, sweetened teas, but also in milk given to children. It is for these reasons that newly erupted teeth can decay. Take your child to the dentist as soon as you notice dark or white spots on your child’s teeth. Tooth decay is an infectious disease, therefore, one decayed tooth can soon lead to the decay of other teeth. 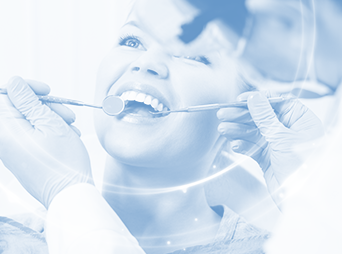 After thorough examination of teeth, the doctor will suggest the best methods of treatment, such as applying dental fluoride (fluoridation) or silver nitrate solution (cauterization) to the teeth. regularly visiting the dentist with your child.